Giraffes are amazing and unique creatures. 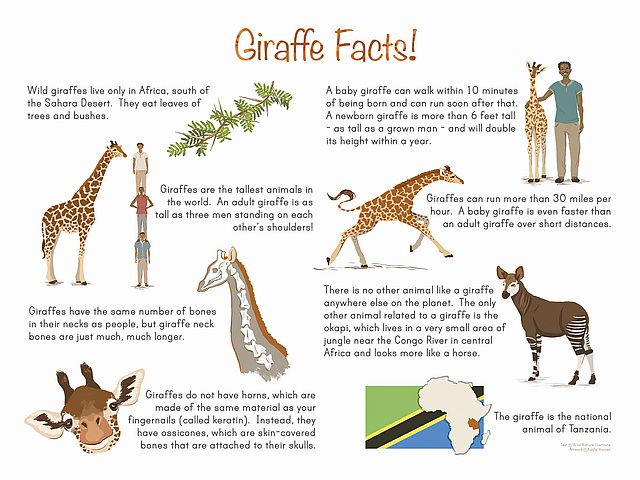 Learn more about giraffes with this collection of giraffe facts. 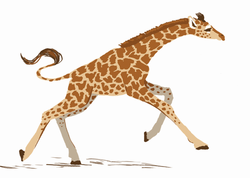 A baby giraffe can walk within 10 minutes of being born and can run soon after that. A newborn giraffe is more than 6 feet tall, as tall as a grown man. 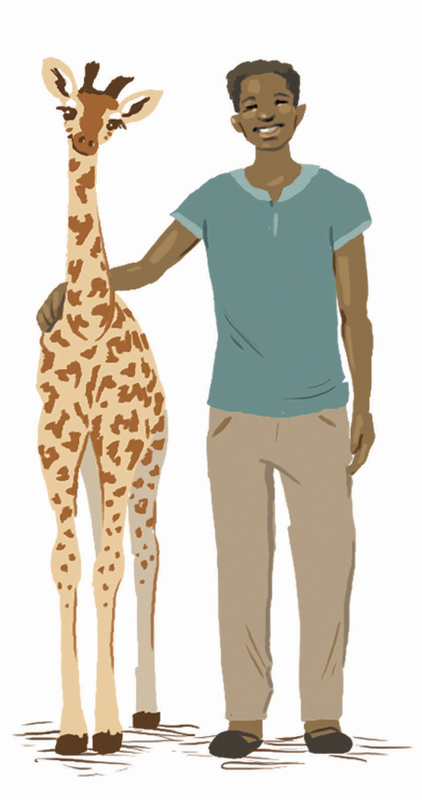 Giraffes grow so fast they double their height within a year. There is no other animal like a giraffe anywhere on the planet. 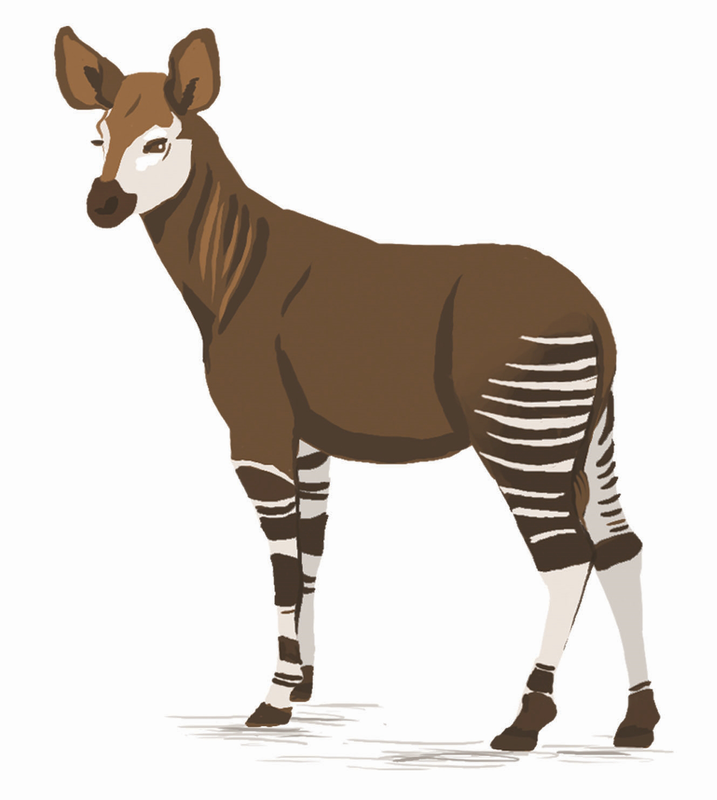 The only animal closely related to giraffes is the okapi, which lives in a very small area of jungle near the Congo River in central Africa, and looks more like a horse. Wild giraffes live only in Africa, south of the Sahara desert. 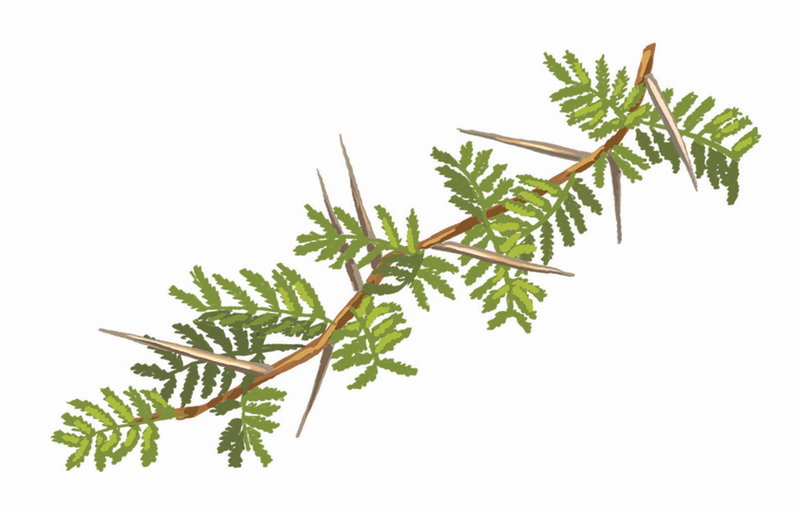 They eat leaves of trees and bushes like Acacia. Giraffes can run more than 30 miles per hour. 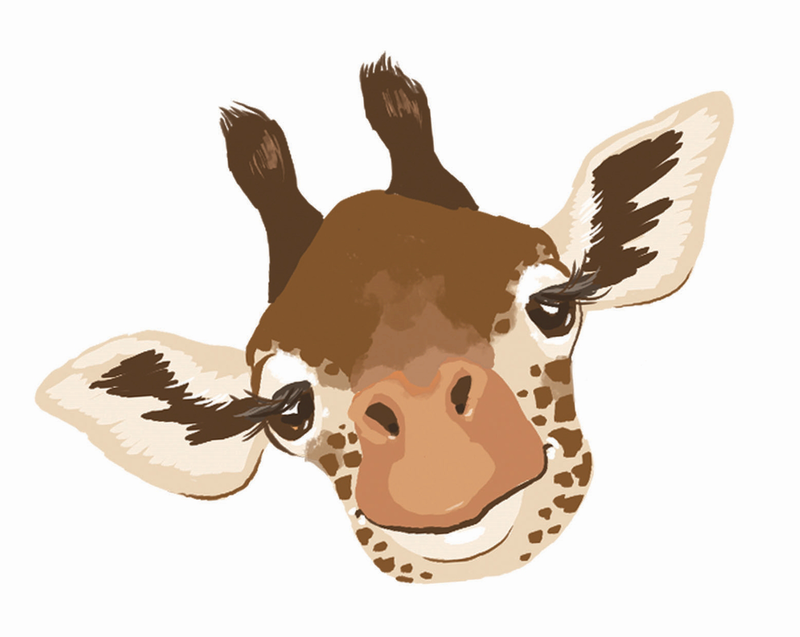 A baby giraffe is even faster than an adult giraffe over short distances. Giraffes do not have horns, horns are made of the same material as fingernails called keratin. Rather, giraffes have ossicones, which are skin-covered bones that are attached to the skull. 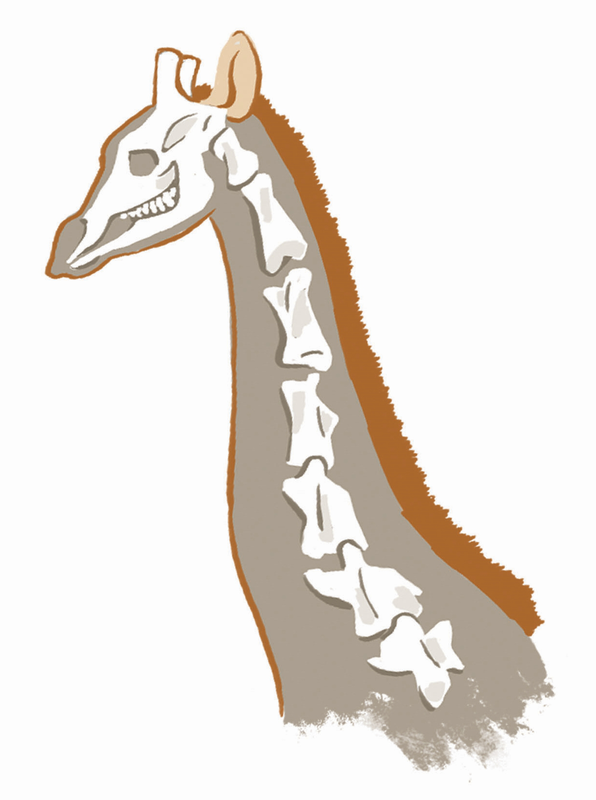 Giraffes have the same number of bones in their necks as people do, but giraffe neck bones are much, much longer. Giraffes are the tallest animals in the world. 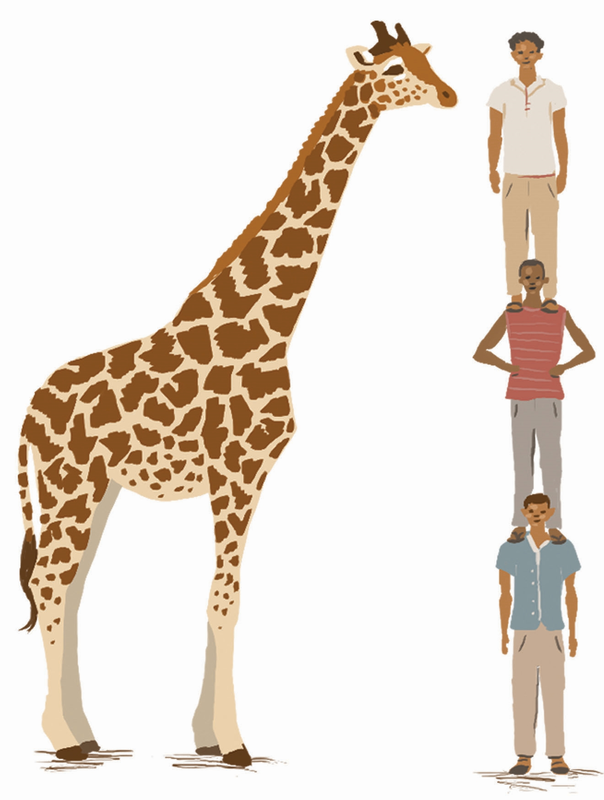 An adult giraffe is as tall as three men standing on each other's shoulders. 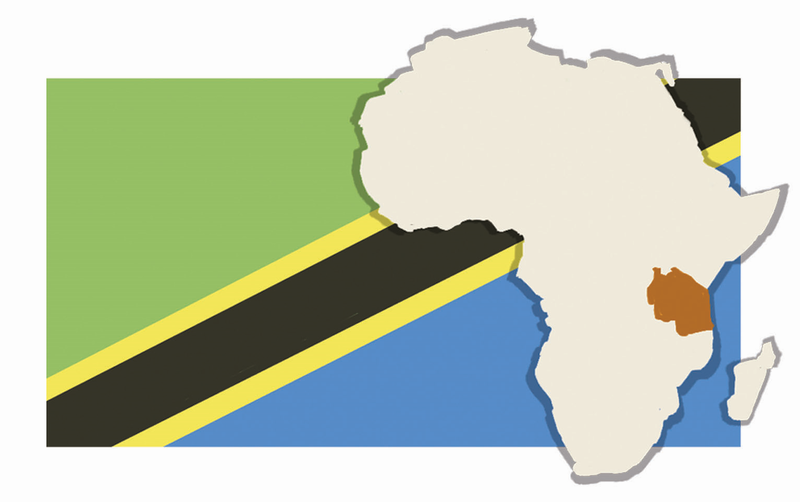 Giraffes are the national animal of Tanzania.